I’ve been in the mood for hippy food lately, so I whipped up a batch of hemp seed tabouleh. It’s about this cult that took over a tiny Oregon town in the early 80’s. And I don’t know about you, but I find cults endlessly fascinating. What could make someone give up everything, put on orange robes and follow some guy to the middle of nowhere? But thousands of people did just that. The story takes a bunch of twists and turns and ends up with the cult poisoning 700 people in this little town. It is truly bananas. I cannot recommend it enough. But about that hippy food that I mentioned earlier. This recipe for hemp seed tabouleh has something for everyone. It’s Low Carb, Keto, Vegan, Vegetarian, THM-S, Whole30, Grain Free and Gluten Free. And it’s very tasty to boot. 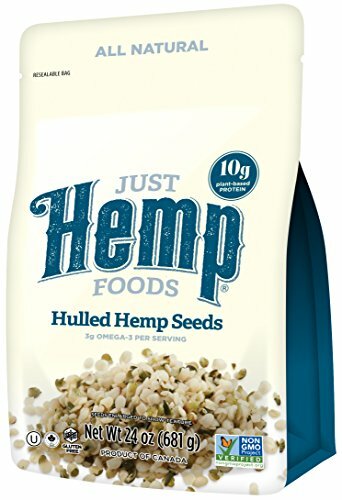 I replaced high carb bulgar wheat with low carb hulled hemp seeds and you’d be hard pressed to tell the difference. What really comes through are the flavors of lemon, fresh parsley, scallions and mint leaves. It’s absolutely delicious. But now I must get back to my hippy show. Namaste! Low Carb Hemp Seed Tabouleh is a great recipe that is naturally Keto, Paleo and Whole30, and Vegetarian. And it’s got only 4g net carbs per serving. 1. In a large bowl, toss together hemp seeds, lemon juice and salt. Add scallions, parsley, mint, tomatoes and oil and toss to combine. 2. Can be kept in an airtight container in the refrigerator for up to 5 days. Thank you for sharing this recipe! I love tabouleh but can’t eat bulgar as I’m diabetic. This is perfect for me and it tastes amazing! I know, I’m diabetic too and I hate having foods that I can’t eat anymore. Luckily, there are ways to fake it like this recipe. So glad you like it. I halved everything for a side dish with salmon and it was perfect. Oh yum, that sounds delicious. Thanks for letting me know. Tasty! The recipe says yields 3 cups but the nutritional information is per serving. How many servings should I get from the 3 cups? It tastes just like regular tabouli. Thanks for posting this! Sure thing, I make it all the time.